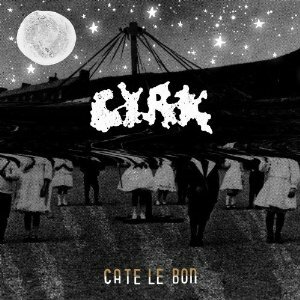 With the crash and bang intro of guitar and drums on opening track “Falcon Eyed,” Cate Le Bon’s sophomore release CYRK is a collection of playfully dark tunes that could easily nestle in with the likes of many Elephant 6 releases. Le Bon’s distinct Welsh drawl slithers over off-kilter rhythms to create an ominous and gloomy mood throughout the entirety of the album. Title track “Cyrk” features a bouncy guitar riff that will get your head bobbing and swaying. Le Bon’s voice carries the album with a distinct, Nico-esque mysticism that is hard to shirk. Although the majority of the album can be hard to catch on to, it is that mystic quality that keeps us tuned in. In fact, we are so mesmerized by Le Bon’s haunting vocals that the instrumentation on most tracks do not measure up. With a bit more textured tuneage to complement those eerie pipes, this Welsh songstress would be well on her way to the pantheon of eccentric indie rock.